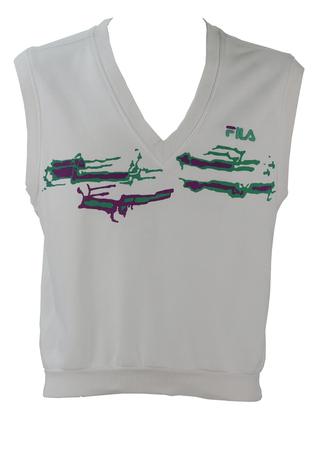 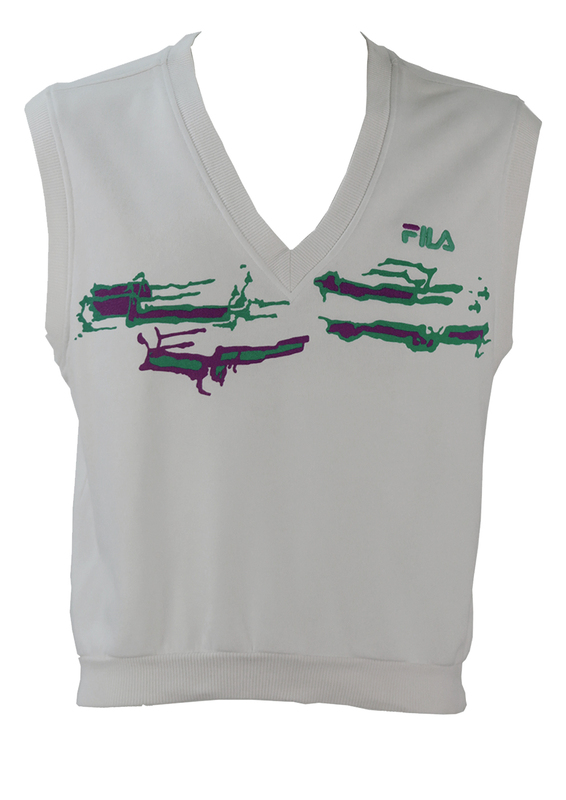 Fila V-neck white sleeveless top featuring bright purple abstract shapes edged in jade. 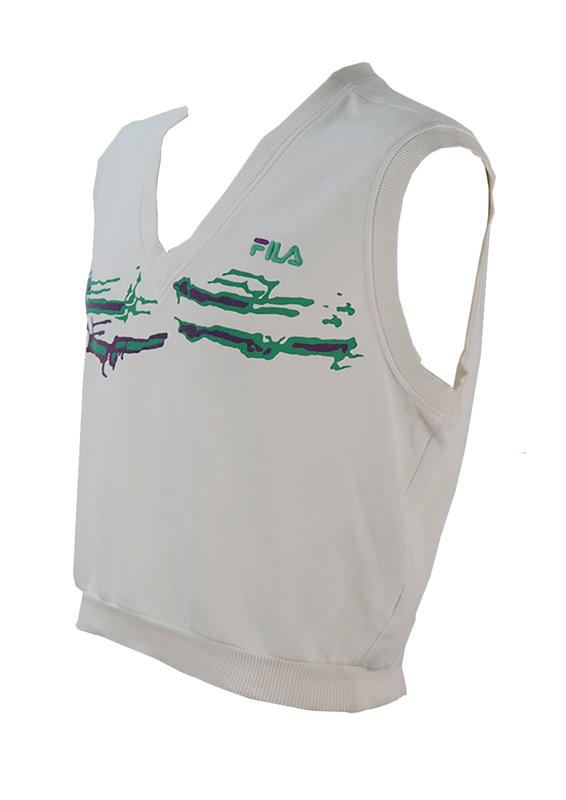 An embroidered Fila logo sits above the design in matching colourways. 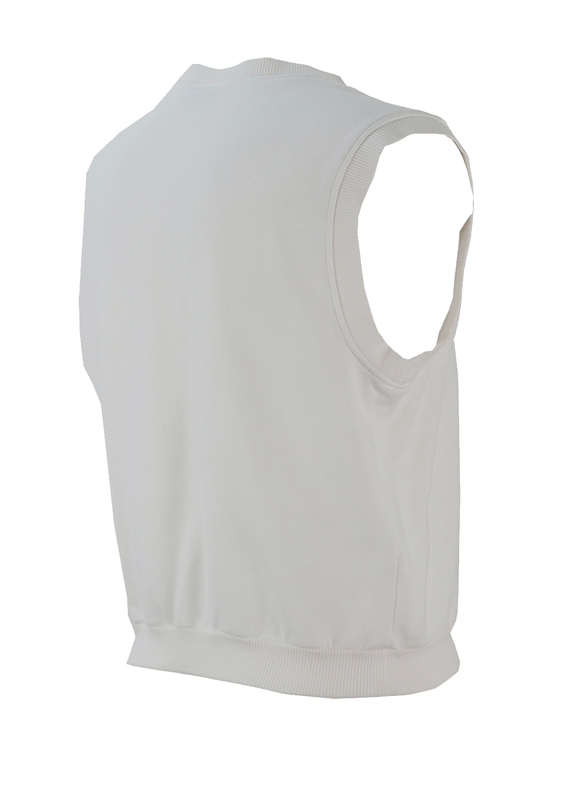 The top has a thick cotton, sweatshirt-like feel to it with a cut that is quite wide and relatively short in the body. 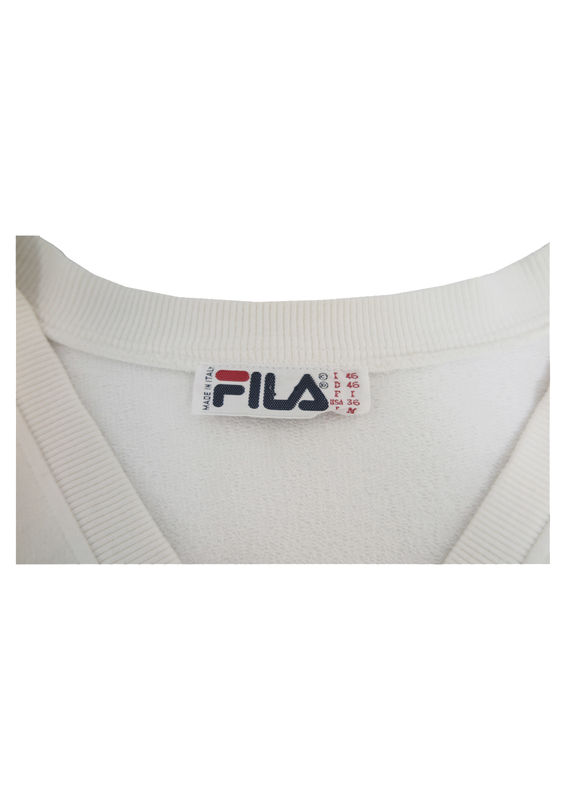 The sizing label states an Italian 46 which we have equated to a UK size M, however please refer to our measurements for further sizing guidance.